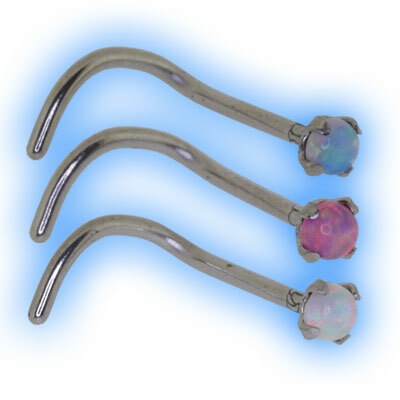 Coloured synthetic Opal set in a 316L Surgical Steel 2.35mm claw set. 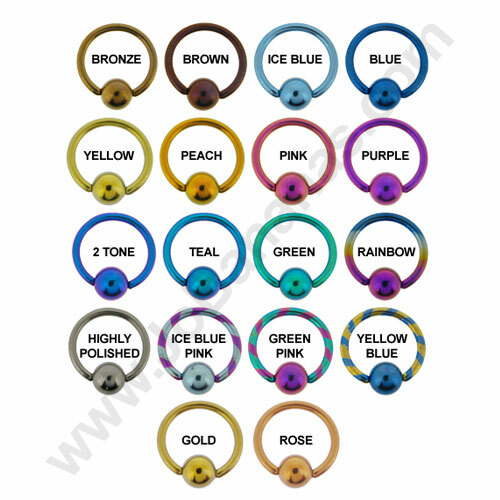 This curved nose stud has a wire thickness or gauge of 0.8mm (20 gauge) with a claw setting. 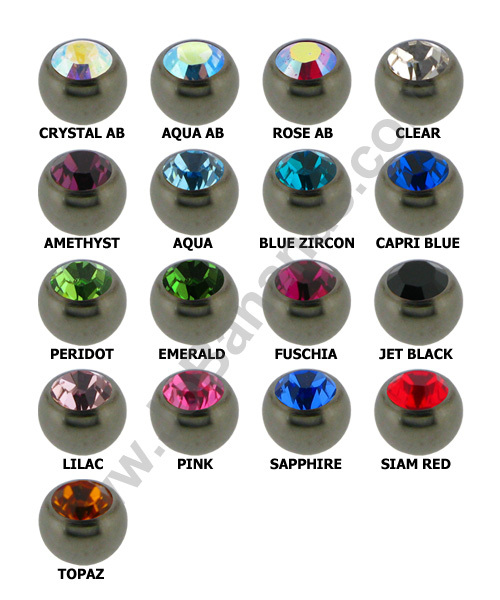 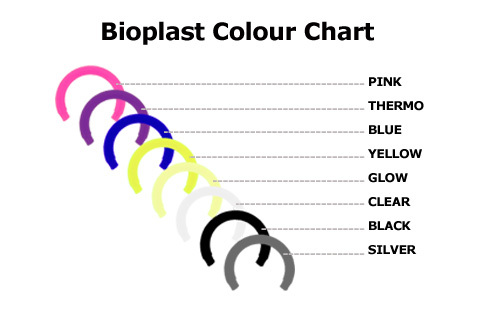 There is a choice of Opal colours that are either White, Blue or Pink and you can choose either a 2mm or a 3mm opal.